You’re referring to this progress bar, right? I think yes the tab bar will obscure the progress bar. It should be easy to fix though with a few lines of CSS, will take a look later this week. Hi @Osama, thank you so much for that. I also experienced a strange issue. 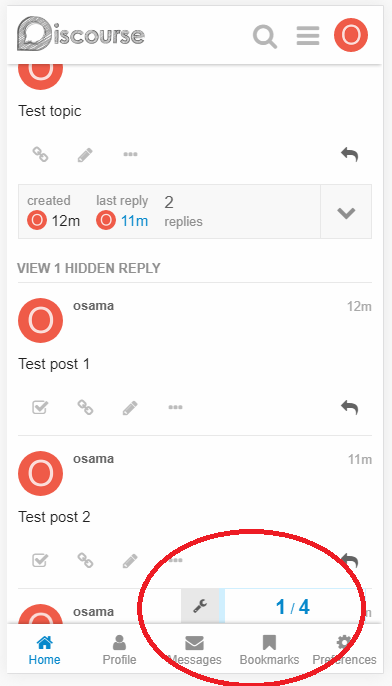 Whenever I open the forums using normal mode on browsers, it opens fine, but on Incognito or Private Windows, there is an alignment issue. 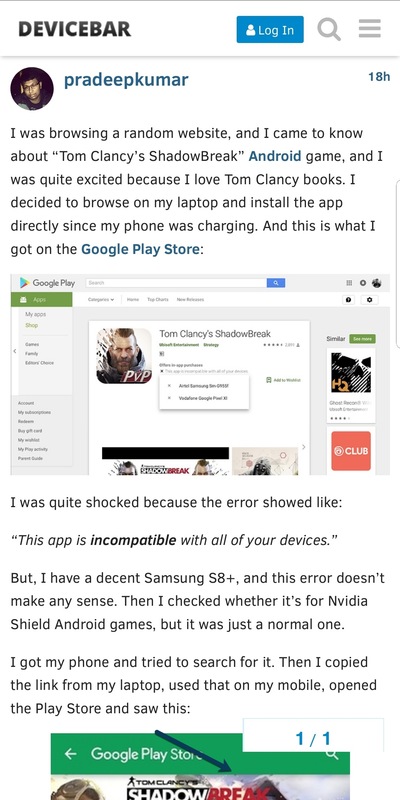 I tested this on Chrome and Firefox mobile browsers. Would love to know your thoughts. Great work with the plugin. I know this is only for registered users, but this alignment, if we can fix this, it would be great. I’ve just pushed a fix for this issue. It was caused by the fix for the progress bar issue being applied to anonymous users view. Let me know if you spot any other issues, thanks! Thanks @Osama, works great now. Looking forward to your upcoming components. were the bar is on other important elements. I have changed the z-index to 999, for ourselves. reporting the issue so that others also note it. 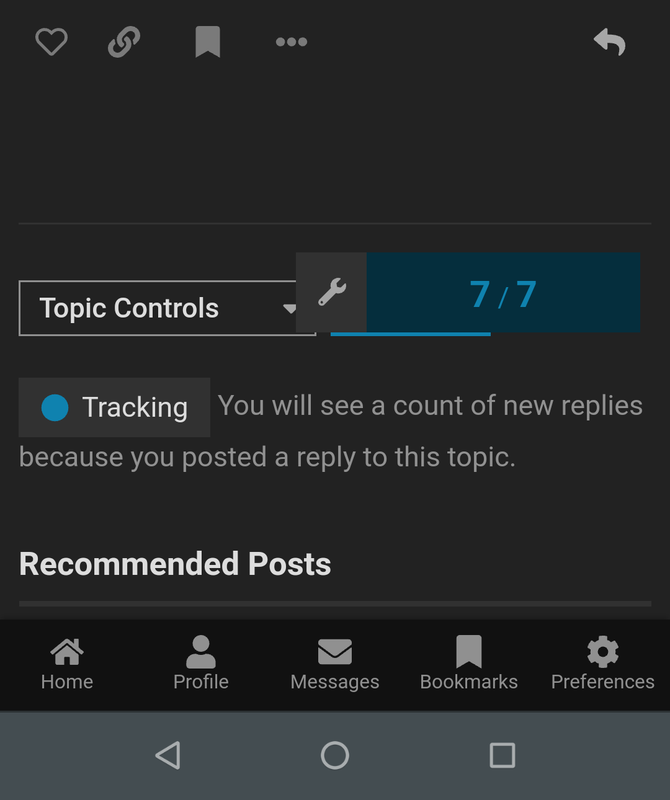 Is it possible to show tab bar to non logged in users too?? That’s not possible at this time I’m afraid. Any reasons you want to show it to non-logged users though? Remember only the “Home” button would work for non-logged users, all the other buttons would lead them to 404 error. Ohh… Yes, @Osama Home button will work and I thought other buttons will open login popup to log in. So most of the user will register. 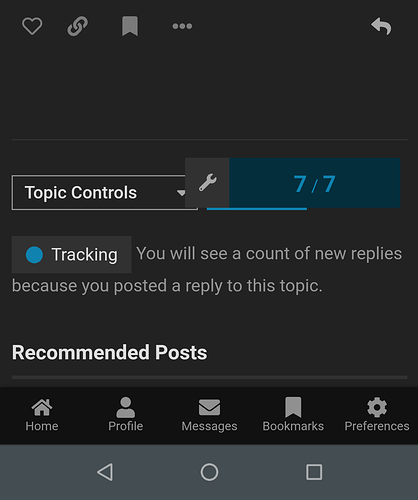 How can I add new tab as “New Topic” in this component? 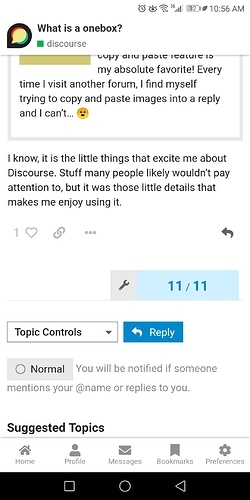 It is explained in the Github README.md (https://github.com/OsamaSayegh/discourse-tab-bar-theme#customization, section “add tabs”). 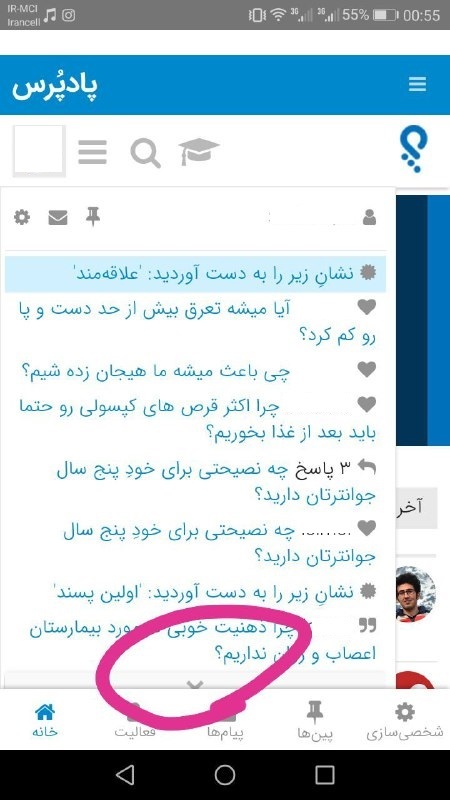 When user click on “New Topic” then by this URL (https://my-site.com/new-topic), it opens homepage and then Create Topic window opens. 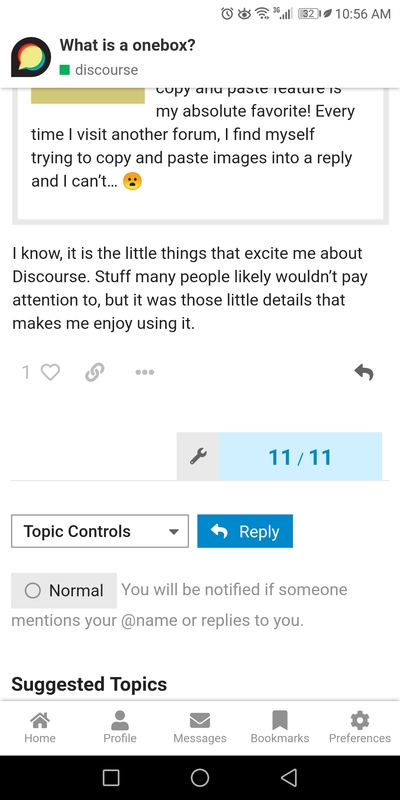 I want to be open Create Topic window on the same page with the Same Category of that topic from where user click on that tab. If I change the theme under Preferences > Interface, the “Save Changes” button disappears, so I cannot save the changes. Note: This only happens when the color scheme changes. If the new theme I have selected has the same color scheme as before, the “Save Changes” button will stand still. @kontratak @Anatolia Thank you for letting me know. I’ve pushed an update that should fix this problem. Please update the theme and let me if you still see the problem. 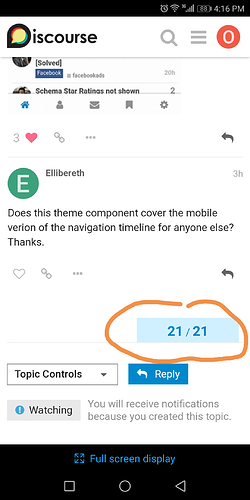 Having some issue with progress bar alignment after adding this theme component. Although this component completes the feel of a proper app but, this issue also ruins the experience. I just re-checked and the theme component it at the latest update. I installed it only an hour ago so I guess it should be on the latest build. I have checked it on two different mobiles but the issue is on both of them.